The EoC Newsletter no. 39 is now available online , subscribers of Città Nuova are receiving it in their homes these days. The same editorial insert of n.13-14/2014, for 10-25 July is available on the EoC site, too, where the html version of the Newsletter can be downloaded as a printable file. As highlighted by the editorial of Alberto Ferrucci, this issue intends to focus on the "EoC making a public appearance," 23 years after its birth. The Cover story tells the story of sharing talent between two Brazilian entrepreneurs brasilian from the North East and the South of Brazil, which led to the birth of the company Movelite because "Together It Works" and "Communion" are the most important talents of all. EoC Associations have done much this year, bringing the project even into areas where it had never reached before. It is like a "giro d'Italia" of the AIPEC members who moved from North to South for networking between companies, entrepreneurs, other associations, weaving new relationships every day. Another example is the Brazilian ANPECOM that assisted the local EoC commissions to make the network of the sympathizing entrepreneurs of EoC grow. Still staying in Brazil, the visit of Maria Voce and Giancarlo Faletti to the EoC Polo Spartacus has highlighted its "Permanent Secret"; in Eastern Europe, small but significant steps make the culture of the EoC grow; in Africa, where the EoC has many affinities with the culture of the local community, new companies are born and surviving. 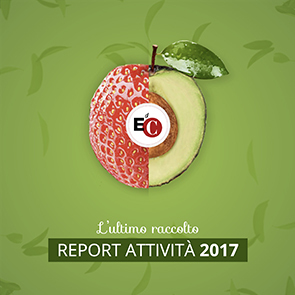 Luigino Bruni presents the online Census of EoC businesses to us: it is not so much a tool for "counting us" but the opportunity to make a new choice. From the Philippines, a tool for evaluating the adhesion of EoC companies to the Guidelines in conducting business, developed in collaboration with a French NGO . Finally, an overview of as many as 5 EoC Summer Schools 2014 and the usual section dedicated to the new theses submitted about the EoC (eight of them presented in this issue). The issue's close is provided by our favourite mascot Formy, who is hereby making his fourth appearance on the pages of Città Nuova. Have a good read!